Supervisor Malia Cohen was elected in November 2010 to represent the residents of San Francisco’s 10th District. The 10th District includes Bayview Hunters Point, Potrero Hill and Visitacion Valley. Supervisor Cohen serves as Vice-Chair of the Land Use and Economic Development Committee, member of the Budget and Finance Subcommittee and member of the Transportation Authority. 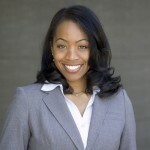 She also serves as a member of the Association of Bay Area Governments (ABAG) and the Joint Powers Board (JPB).